After being in production for nearly 70 years, Magno Soap and Magno Shower Gel are still the best selling products here at The Soap Bar.Com. For more than seventeen years on the internet, Magno Soap has been THE customer favorite. The black glycerin soap, with its universal fragrance appeal makes this unassuming soap from Spain a family favorite. Claus Porto is a Portuguese soap and perfume manufacturer established in 1887 by two German immigrants. Over the course of more than 100 years, the brand has established itself as one of the leading manufacturers of soap. More recently, TV host and personality Oprah Winfrey named Claus Porto soaps as one of her favorite things. From the design and packaging that draw inspiration from the Art Deco movement, to the materials used in manufacturing each soap bar, to the centuries-old methods and techniques used in production, each Claus Porto soap bar evokes a sense of luxury. Dubbed as one of the world’s most luxurious soaps, Claus Porto soaps are produced using methods based on European tradition, the end result of which are handmade bars that won’t crack and will remain fragrant until the end. Claus Porto uses ingredients that are 100 percent vegetal, reflecting the company’s firm commitment to quality. The brand’s choice of ingredients, the use of updated and refined formulas, and the careful mixture of soap paste, perfumes, pigments and oil all result in products that can be dubbed as aromatic jewels. In order to achieve a smooth texture and a long-lasting scent, Claus Porto soaps are repeatedly milled. This also ensures that the soap becomes more resistant. After the main ingredients have been mixed into a paste, this paste is laminated using traditional machines in order to achieve a consistency in color and a smoother texture. Remaining grains from the soap paste are compacted through the process of extrusion. After undergoing this stage, the soap bars are shaped and molded into a variety of forms and styles. Using mechanical pedal machines, the soap bars are molded into different shapes and sizes. This process, which typically lasts between two to three weeks, ensures that the soaps maintain their natural aromas and are homogenous and consistent as well. Apart from using ancient formulas in its soap production, Claus Porto adheres to its storied tradition of excellence and quality by rigorously checking each soap bar up until the packaging stage. Each soap bar is examined individually and by hand. During the final packaging phase, each soap bar is hand-wrapped in Art Deco packages which are inspired by the original label used a century ago. The Art Deco labels take their cue from the vintage labels recovered from the company’s creative archives. Prior to wrapping, each soap is given one final inspection to ensure that it meets the brand’s stringent quality requirements. Most people would give anything to have a jet-setting lifestyle and regularly meet new people, see different places, try new foods, and experience unique cultures, but very few actually get to have this brand of life. If you’re one of the few who get to travel to different parts of the world often, either because you simply can afford it or your job requires you to do so, do not for one moment forget how fortunate you are to have the frequent opportunity to enrich yourself. Exploring new places can certainly open up your mind more and develop in you a better understanding of life and the world. Now, while traveling abroad is indeed a wonderful privilege, it’s not always that easy – air travel alone can be quite stressful, especially if you do not get business or first class seats. Traveling coach is physical torture for many – not only are the seats cramped, but all other things that you wish to do are restricted as well by the amount of people from all walks of life stuffed into a small cabin. You need to endure all their jabber, (sometimes) the snoring of your seatmate, or the need of some people to read while you wish to sleep in complete darkness. On top of these, you also need to deal with the unique conditions of simply being inside an aircraft; the air pressure that compromises your hearing can be pesky – no matter how many times you swallow, that stuffy feeling in your ears simply won’t go away. Dealing with the physical discomforts of air travel can be made easier, however. Nowadays, there’s an abundance of portable products that you can bring with you so the hassles of spending long hours on the plane can be minimized. For example, if you wish to get some shut-eye and you need complete darkness to do that, you can wear the eye sleep mask by Boules Quies; this is not like the sleeping masks provided by most airlines because it’s been designed with the wearer’s complete comfort in mind – you won’t have to worry about it coming loose every time you shift your head, or the bands pinching the sides of your head. 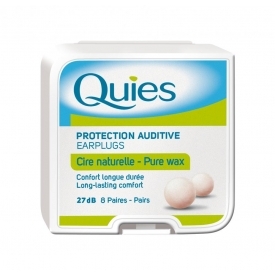 And if you want to sleep in peace and quiet and shut out the sound of the plane’s engine, the chatter of the people around you, or even the movie being watched by your seatmate, Boules Quies also has comfortable wax ear plugs. They are so comfortable to wear because they are cotton-wrapped and malleable, meaning you can easily adjust the shape to create the best fit to eliminate sound. These Boules Quies products may be pricier than what you’ll normally find being sold in pharmacies and other stores, but you can be sure that with these products, you truly will regain some of the comforts compromised by traveling by plane — you’ll be able to sleep so much better that when you get to your destination, you’ll feel quite refreshed instead of tired. You’re bathing in the curative and healing thermal hot springs of La Toja, a beautiful island in the northwest corner of Spain; your anxieties and stress slowly slip away, and you feel your skin getting softer, firmer. And then, before you know it, you’re scrambling to get to the airport and back home, to your job, to your life. Goodbye thermal mud baths and medicinal waters that turn your dull, sensitive skin amazingly soft. Goodbye gorgeous island of Spain. How can you recreate that same kind of wellness and beauty experience without spending a fortune every time? Easy. Go online and look for the renowned and distinct Magno soap. The Magno Classic Soap bar is renowned for its origin; it comes from the world-famous therapeutic hot springs of La Toja. This popular soap bar is distinct because of its jet-black color. The soap contains iron oxide, which gives it its murky color and its crystalline state. Now don’t think for a second that once you lather up with this beauty soap that you get black suds. On the contrary, Magno Classic Soap bar produces dense white lather. This beauty soap, created since the 1950s with salt and minerals, will lather up in hard and soft water. It will even foam up in seawater, should you be so inclined to bathe in the sea. Why would this black beauty soap be beneficial to your skin? The soap uses water and mineral salts from the hot springs of La Toja. La Toja hot springs have long been known for their positive effect on sensitive skin. The healing and curative properties of the hot springs have turned the island into a modern wellness and spa resort destination. But instead of traveling all the way to Spain’s Isla de La Toja and spending thousands of dollars, you can now get the same type of experience and skincare from Magno’s jet-black soap. Not only will this iron oxide-containing beauty soap leave your skin feeling softer and firmer, but it will also leave you with a lovely scent, the base of which is fleur de lis. The fragrance will embrace your bathroom and bedroom once you lather up in the shower or in the tub. The fragrant aroma may even remind you of your time in Isla de La Toja, creating a sense of instant and lasting relaxation. From the fabled hot springs of La Toja and the idyllic northwest island of Spain to the very comforts of your own home. Lather up. Get softer, firmer skin with Magno’s jet-black soap. When Oprah Winfrey started featuring her favorite things on her now-defunct television show, all of America and the far reaches of her network made sure to stay tuned. Oprah is known as one of the world’s most influential people, and if a product makes it to her list of favorite things, then it’s surely of great quality. From sandwiches to brownies, to cars and gadgets, and to personal hygiene products, Lady O makes sure to share them with her audience so they, too, can see and experience for themselves the superior quality in products and services that mostly people of considerable wealth are regularly exposed to. In 2007, Oprah included Claus Porto Soap in her Favorite Things Episode. The ones she featured on her show are the jumbo Claus Porto soaps which she described as gorgeous, magnificently scented bathing essentials that not only make bathing more enjoyable but make awesome hostess gifts as well – a great alternative to sweet potato pie, claimed Oprah. These soaps are definitely high-end items, but for their quality, every person who believes that “bathing is a hobby” will find each one of the 17 variants a great investment for an activity he or she immensely enjoys. 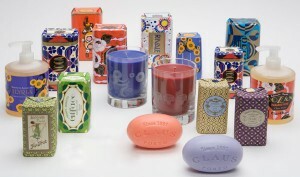 Claus Porto Bath Soaps are hand-made, 100% natural shea butter- and 100% vegetable-based soaps from Portugal. They are milled seven times to ensure no cracking or breaking, and the scent infused into each soap lasts until the very end of the bar. These luxurious all-natural soaps have been made in the same traditional way for almost 123 years. The 17 delightful scents are Water Lily “Madrigal,” Brise Marine “Cerina,” Iris Lavender “Royal,” Paradise-Rose “Rozan,” Lime-Basil “Deco,” Sandalwood Pear “Parada,” Citron Verbena “Banho,” Red Poppy “Favorito,” Sandalwood “Argus,” Honeysuckle “Ilyia,” Wild Pansy “Condessa,” Almond “Alface,” Mimosa “Lysia,” Tuberose Acacia “Voga,” Morning Glory “Lize,” and Melon “Melodia.” They are all greatly refreshing and leave the skin smelling absolutely divine throughout the day. All of these soaps come in attractive colors and impressive packaging that reflect the old-world aesthetics of the Portuguese brand. Aside from the 350 gram hard soaps, the brand also offers other luxurious body essentials that can make personal hygiene a more gratifying experience. Claus Porto also has liquid soaps, body washes and moisturizers. Similar to the hard soaps, these products also have classic and colorful packaging that can instantly upgrade the look of any bathroom. Everybody knows that Oprah only enjoys the finest things in life — items with impressive history and fantastic quality; it’s no wonder the Claus Porto jumbo soap made it to her 2007’s list of favorite things. For a lot of people, bathing is not just an activity for personal hygiene. It’s also that special time of day when they can forget about stressful life demands and focus on themselves. After a hard day’s work, a great night-capper would be to light some candles, soak in a hot tub, let the warm water undo all those stress knots and luxuriate in the nourishing and scented goodness of great quality bathing products. If you’re inclined to really take your time bathing, the best body cleansing product to use is a shower gel. It effectively gets rid of dirt and oil in skin without stripping its natural moisture, especially during the winter when most people tend to get really dry and flaky skin. One great shower gel to use is Magno shower gel. This delightfully warm, woodsy scented shower gel from La Toja, Spain is rich and silky. Once it comes in contact with your skin, you instantly get an ultra-luxurious feel as the foam thickens. With its potent formula which combines essential oils, skin nourishing vitamins and fragrances, a dime-sized amount can lather (with the help of your shower puff or cleansing pads), effectively clean your entire body, and leave a fresh deodorizing effect that lasts for many hours. But aside from creating a more enjoyable bathing experience, using this shower gel offers other benefits as well. Firstly, it’s more sanitary; if you have a big family and you share bathing products, using a shower gel ensures that you don’t share “contaminants” with each other, like you are bound to do by sharing the same soap. You don’t need to worry about a family member with a skin problem possibly passing on his or her skin woes to you. Worth mentioning as well is the fact that you don’t have to worry about attracting disgusting insects and rodents that eat or drink up deliciously scented bathing products, which typically happens with bar soap. Secondly, a shower gel is more economical. Like what was mentioned earlier, a little goes a long way with the Magno shower gel; with a wet puff, you get a lot of suds that get oil and dirt off your skin, and rinsing is never a problem because this shower gel does not leave slimy residue on the skin even if it has moisturizing properties. So if you want to upgrade your bathing experience by indulging your senses and nourishing your skin, making the switch to a great shower gel like Magno will definitely do the trick. Every skin care expert these days warns people about using conventional soaps for bathing. Most soaps have really harsh ingredients that deplete skin’s moisture as they get rid of bacteria, dirt and germs. The squeaky clean feeling these soaps create is also often responsible for dry and flaky skin. Though soap is still a great cleaning agent, people who wish to maintain soft, supple skin are advised to use a more skin-friendly alternative such as a shower or bath gel. Bath gels are potent cleaning formulations that, with just a little amount, can do as good a cleaning job as soaps, but the edge they have over soaps is that they have the ability to retain skin’s natural moisture which is key to keeping skin looking young and fresh. Also, due to its liquid state, the skin better absorbs the nourishing properties present in the formula. 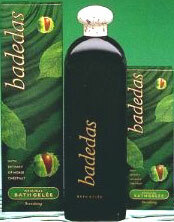 Badedas Bath Gel is one of the most nourishing bathing products available in the market today. It’s a dark green bath gel with a strong and refreshing fragrance of a lush forest. It relaxes and revitalizes the whole body, helping to improve circulation and well-being. Infused with Horse Chestnut Oil, and known throughout Europe for its ability to improve circulation in the body to effectively dispel toxins both on the surface and deep in the skin, Badedas gently cleanses deep down, leaving the skin glowing, soft, supple and beautifully refreshed. This product is ideal for the entire family, for a long hot soak or a quick shower. If you wish to use it in a hot soak, the gel’s natural ingredients will allow your skin to fully drink up all the nutrients of the gel. For a quick shower, on the other hand, you wouldn’t need to furiously scrub at your skin to get rid of dirt because the unique properties of Horse Chestnut Oil help skin to push out these harmful elements. The formulation Badedas uses for its shower gel is also mild enough for children’s sensitive skin yet tough on germs and bacteria. Its forest-y scent is concentrated but not overpowering, and it leaves the skin smelling fresh the whole day. Now, if you want more space in your bathroom and would like just one product to use for thorough bathing, the Badedas Revitalizing 3-in-1 Shower Gel combines the luxury of the Badedas range with the convenience of a shower gel, shampoo and conditioner in one product. This is absolutely perfect for people who travel and don’t want to crowd their bags with different bottles of bathing essentials. This product cleanses and conditions hair and body, and will leave you feeling totally refreshed and revitalized. Keeping skin’s youthful glow is all just a matter of using the right products. Badedas is a trusted name in hygiene and skin care; try its bath gel and see the changes in your complexion and overall skin quality. Magno Soap from Spain, is one of the most sought-after bath soap products here at The Soap Bar.Com. That’s because Magno Soap’s long reputation, almost 70 years, has been one of branding it one of the most quintessentially Spanish bath products. Why is that? Well, first of all, the allure of a black soap is ever so different, and exactly what one would expect to find down a cobblestone path at an artisinal soap-maker shop, in some ancient Spanish city, once ruled by the Moor’s of North Africa. The fragrance of Magno Soap is almost indescribable, yet it is something akin to woodsy, earthy and natural. Perfect for men and women, and the whole family. Magno Soap affcionandos would use no other bath soap. Magno Soap is black in color when dry but this glycerin-based soap produces oppulent white, frothy foam when wet. The special thermal salts and other ingredients keeps Magno Soap as a classic amongst European soaps. Many of our customers remember using Magno Soap back in the 1950’s, as they travelled through Spain. We have heard that back in those days, bath soap was hard to find in Spain and the only soap in the hotels were small bars of Magno Soap! New Ahava Dead Sea Mineral Bath & Body Care products at The Soap Bar! After nearly 20 years in the bath and body care product business, it is my personal opinion that Ahava Dead Sea Mineral Bath and Body Care products are truly the best in the world! I have been using Ahava Mineral Hand Cream and Ahava Mineral Body Lotion exclusively for close to 30 years! I always receive compliments on how soft my hands are and how smooth my skin is! Besides having good genes, I am positive that the excellent condition of my skin is due directly to constant, daily use of the Ahava products! And on that note, we just received a brand new Ahava Dead Sea Mineral products, the Ahava Firming Body Cream. This is a silky, nourishing cream which works to recover skin firmness. It is formulated with Artichoke, Date fruit extracts and Caffeine, known to improve the elasticity of the skin. Approved for sensitive skin, allergy tested and Paraben-free! We also received the Ahava Mineral Hand Cream, the BEST hand cream in the world, in a Special Edition Size of 150ml for $20.00! This is an excellent offer and savings! And back in stock is the Ahava Liquid Salt Gel which is a shower treatment for dry, itchy skin! This one-of-a-kind liquid salt gel detoxifies and rejuvenates the skin. Enriched with an extremely high concentration of Dead Sea minerals, this treatment is like bathing in the magical waters of the Dead Sea in the comfort of your own home! Massage over your body, avoiding the face. Rinse after 2 minutes, (don’t shave your legs before you use this, ladies). This can also be used in the bath tub instead of bath soaks. Perhaps the most important step in any skin care regime is the Ahava Mineral Body Lotion, now available in a 500ml Special Edition starter size, with a pump, for $30.00. A good body lotion should be used after each and every shower or bath. This is the secret to soft, supple, young looking skin! As ever, we look forward to serving each and every one of you. We thank you for your long-time support of our family owned, small business. Truly, your patronage keeps us up and running and we really appreciate it! FABULOUS AND FAMOUS BATH AND BODY PRODUCTS FROM AROUND THE WORLD! © 1999 - 2018 THE SOAP BAR.COM, INC., ALL RIGHTS RESERVED.